Imagine recreating the saber-toothed cat for fun? The possibility sounds exciting, but the reality could be nightmarish. Within these pages you are drawn into in a world where man becomes the hunted. 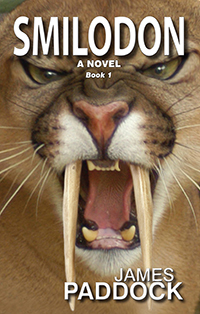 It is fast-paced fiction where cats change the rules and people run for their lives. “Tigers in the Wild” and a lucrative fee lure freelance writer, Zechariah Price, into the frozen mountains of Montana. The assignment drops him into a world of Bengal tigers, illegal aliens, prehistoric sabre-toothed cats, psychic premonitions and babies. As death by man and animal surrounds him, he quickly learns that he, too, is destined to become food for the cats. Trapped between man and beast, his assignment turns into that of survival. Welcome to a world where cats call the shots.